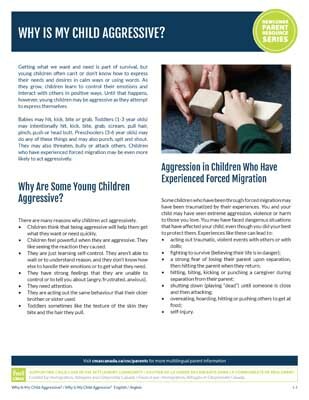 CNC | Resources | Why Is My Child Aggressive? Getting what we want and need is part of survival, but young children often can’t or don’t know how to express their needs and desires in calm ways or using words. As they grow, children learn to control their emotions and interact with others in positive ways. Until that happens, however, young children may be aggressive as they attempt to express themselves.